Reinhoud D'Haese was a remarkable Flemish sculptor, draftsman and graphic artist, who has limited his artist's name from 1960 to his first name Reinhoud. He was the brother of sculptors Begga and Roel D'Haese. In 1950 he met Pierre Alechinsky and was introduced by him to the other CoBrA members. He participated with them in various exhibitions. In 1958, when the CoBrA had been fallen apart for some time, he found his own artistic direction. He then worked a lot with Alechinsky. For expemple, in Paris the two made series of drawings of orange peels that were drying on the table. The curly shapes later gave inspiration for the sculptures that were assembled with cut metal plates that exhibited the same characteristics. Originally Reinhoud began to weld copperplates to creations that became magnified insects or creations between plants and human forms. Later Reinhoud also made a lot of small sculptures kneaded bread which he covered with silver or copper in an electrolytic bath. Also, his graphics and drawings represents perfectly his style. 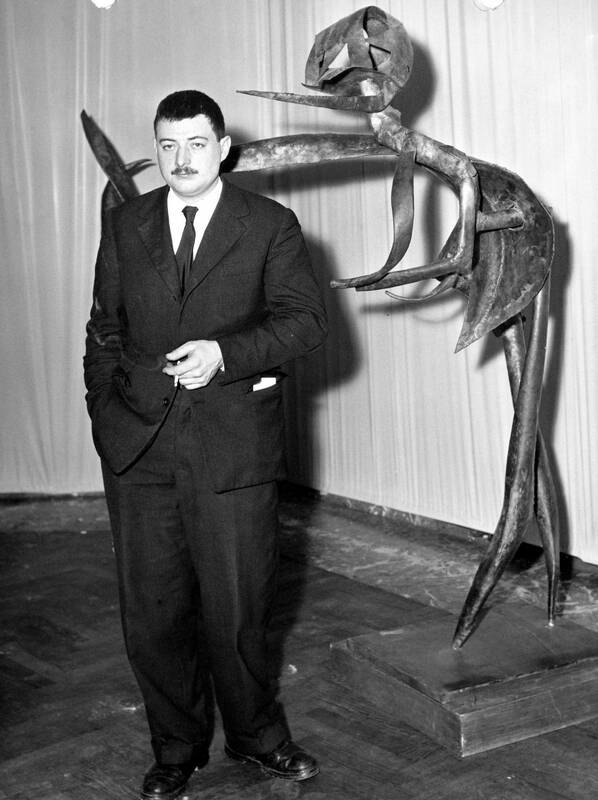 In 1957 Reinhoud was awarded the Prize of the "Young Belgian Sculpture". Later there were many international exhibitions and among others, his work has won the Price Eugène Baie in 1969 and the Belgian State Prize for Plastic Arts in 1985.